Sound Beach Pizza Grill & Deli serves the best in homemade pizza, pasta, salads, deli sandwiches and more. 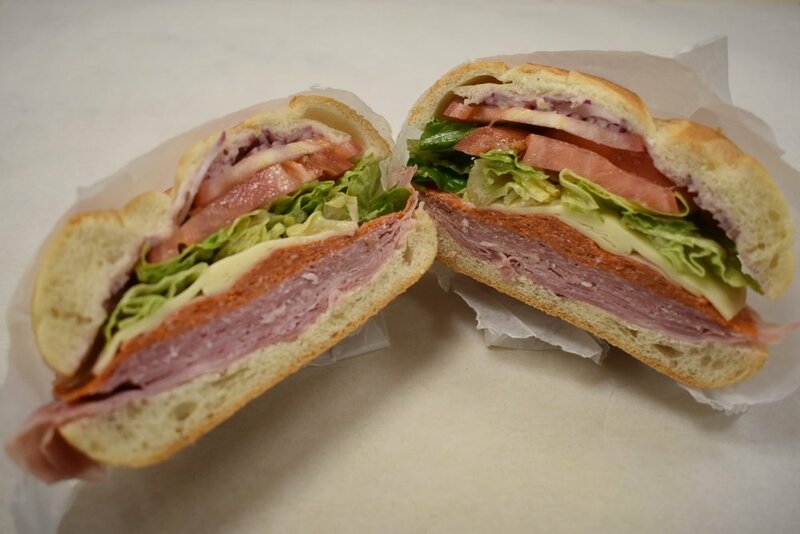 We have been a staple in the Old Greenwich community since 1946. Order takeout, delivery or come in to try our delicious menu. Sound Beach Pizza Grill & Deli is a well-established, unique, friendly, independent, family pizzeria and restaurant located in the heart of the picturesque village of Old Greenwich, CT. Sound Beach Pizza is locally owned and operated by Demos Lorentzos. Sound Beach Pizza Grill & Deli is a proud sponsor and supporter of many local community, school, and church events. Each month, the Old Greenwich Art Society proudly displays the art work of local artists right here in our sitting room.